From Kellisa's Path, with Laurel: What can be done in 48 hours? 1. Fly R/T from Sacramento to Indianapolis. 2. 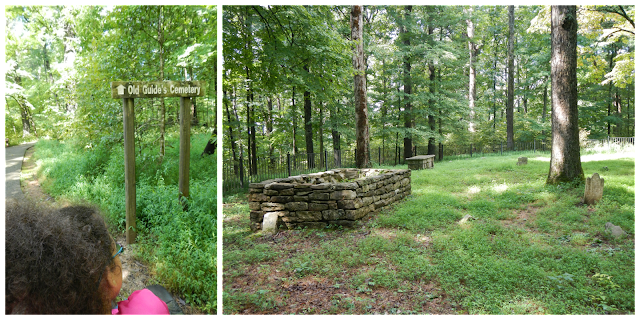 Drive 450 miles R/T between Indianapolis and Mammoth Cave National Park. 3. Cross a river on a ferry. 4. Drive a dirt road trail. 5. 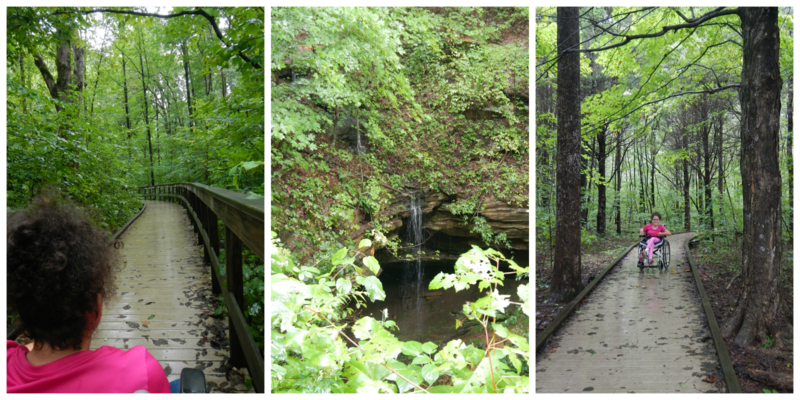 Hike all the accessible trails in Mammoth Cave National Park. 6. 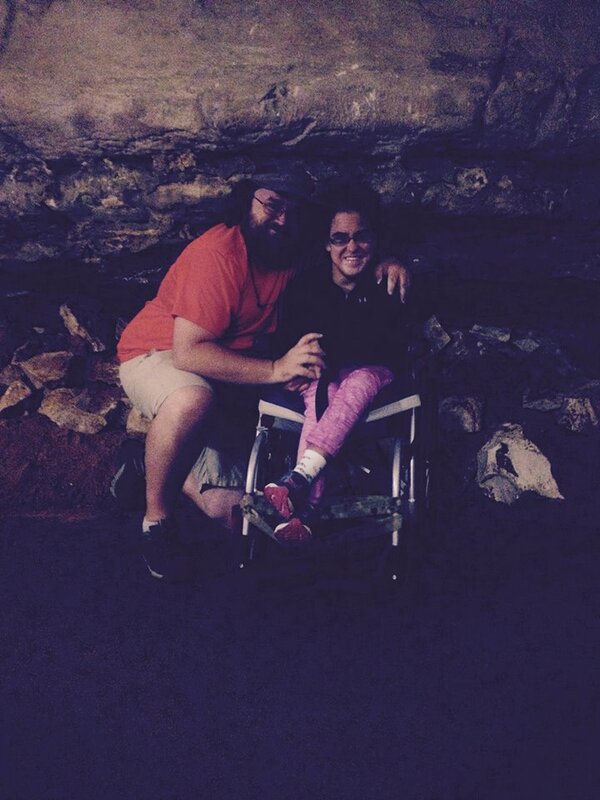 Go on the first wheelchair tour in Mammoth Cave in more than 14 years. 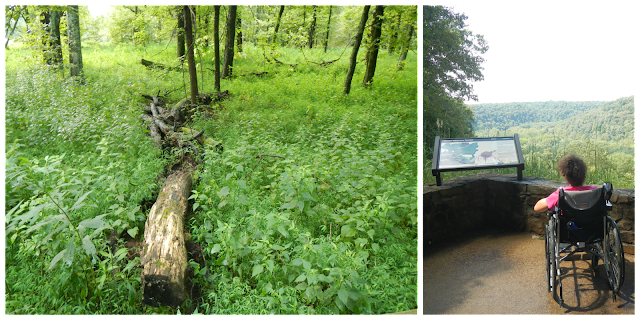 It all started five or six years ago when I was close to Mammoth Cave National Park while in the area for work. I stopped by the visitor center for information. Specifically, I wanted to know if Kellisa could go on any of the cave tours. 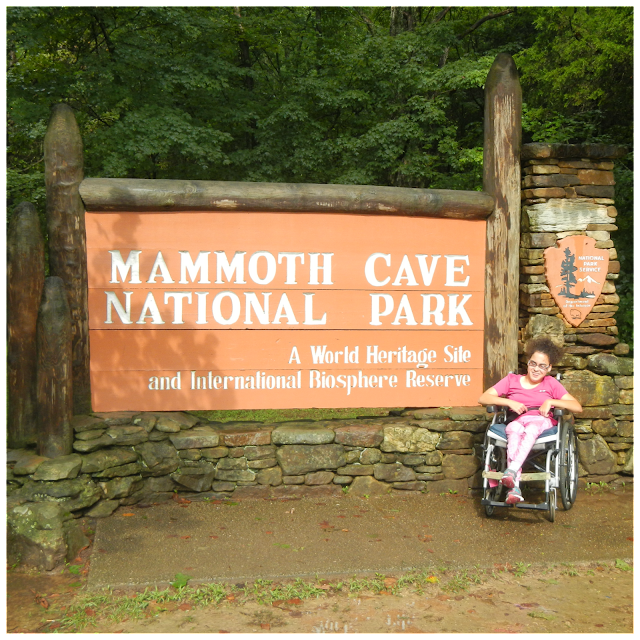 I was surprised to learn that Mammoth Cave did not have a single option for people in wheelchairs because the elevator was broke. I asked how long until it would be fixed and the ranger had no idea. He went on to explain that the elevator for the accessible tour had been broke for 8 or 9 years. I was also told the park didn't have the money to fix the elevator. When I got home, my outrage grew even more when I went to the website for Mammoth Cave National Park and it went on and on about how accessible and accommodating the park was for disabled visitors. The park has a few accessible trails, campsites, bathrooms, and the visitor center was ADA compliant. However, I seriously doubt many visitors in wheelchairs would visit the park for just those "accommodations". 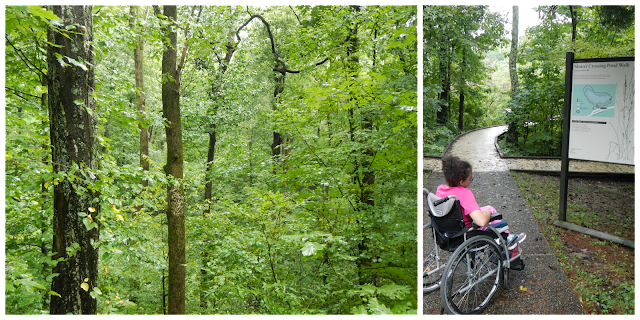 I started to wonder how many people have been turned away over the years because of their disability. My next thought was how the disabled community experiences unchecked and unquestioned discrimination on mammoth (pun intended) proportions. Let's imagine that there was something preventing women from participating in the cave tours or people with darker skin tones. I'm guessing there would be an immediate and very public outrage with the National Park Service quickly finding the money to make the necessary repairs. But when it's the disabled...NOTHING!!! I made a few calls and sent an email or two. I even visited with Laurel and we went on the "easy" family tour. I was hoping that I could make it work with Kellisa. I was disappointed when the tour went through narrow pathways, up and down wet and slippery stairs because I knew that I couldn't safely navigate with Kellisa. I hated to admit defeat. 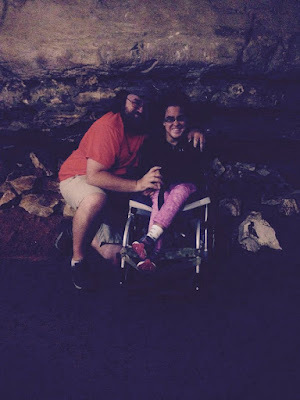 I tried to put the idea of taking Kellisa inside Mammoth Cave out of my head and once or twice a year, I would inquire about the elevator always to be disappointed. Then, one day out of the blue in July 2016, I received an email from a ranger at Mammoth Cave personally inviting Kellisa on a private tour. The email explained that the elevator was fixed and would open to the general public in October 2016. We were offered dates in August and September in advance of the opening so we could provide feedback to the rangers and for the park's marketing campaign. 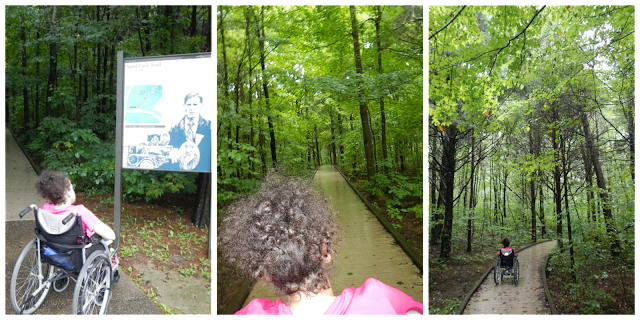 Without hesitation, we jumped at the opportunity to take the private tour in August. Plane tickets, car, and hotels were booked. 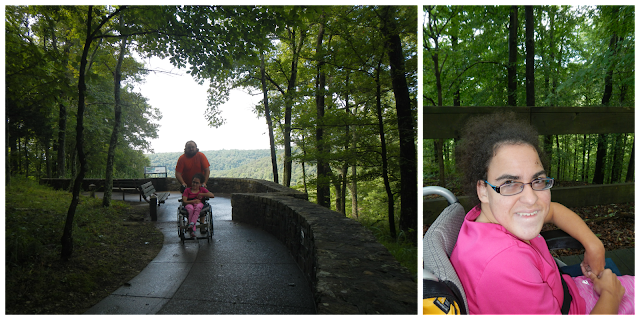 A few weeks later we traveled to Mammoth Cave and Kellisa was treated like royalty. 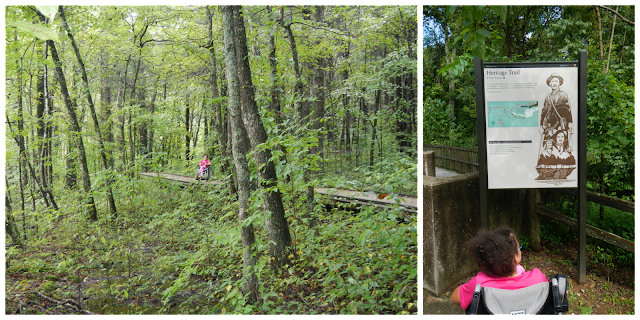 We met the rangers at the visitor center before driving to the "Elevator" entrance for our private tour. 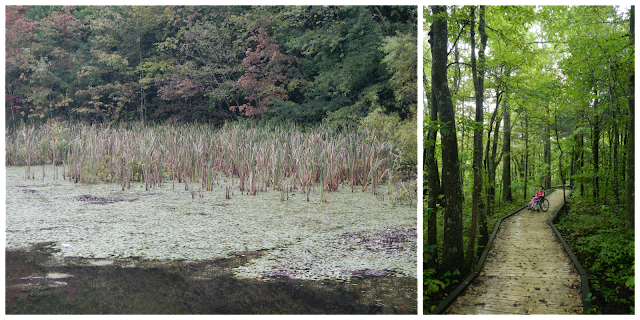 The park arranged for a red ribbon cutting ceremony with a professional photographer. Kellisa held one end of the ribbon and was able to keep a piece as a souvenir. 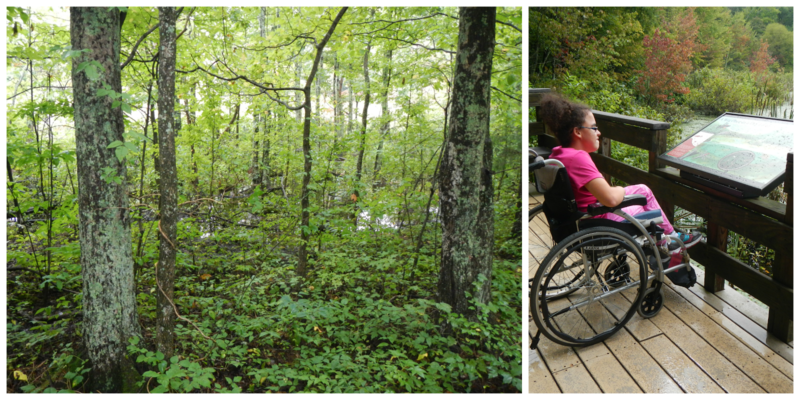 Three rangers proceeded to take us on the first wheelchair tour in more than 14 years. Kellisa loved every second of the tour and I think she got the point across the importance of having the cave open for ALL visitors. We were not allowed to take photographs on the tour, but we were allowed to take the one at the beginning of this post without a flash.